The New York Islanders are headed back to the playoffs for the first time since 2016, and a huge part of their success this season can be traced back to the stability brought to the organization by GM Lou Lamoriello and head coach Barry Trotz. Almost no one predicted the Islanders to improve this season after losing captain John Tavares in free agency, but under the disciplined hand of the pair of experienced management have become one of the best teams in the Eastern Conference. 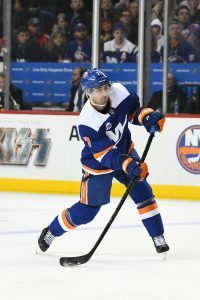 That management has not avoided questions though, as the Islanders still sit with new captain Anders Lee and veteran forwards Brock Nelson and Jordan Eberle unsigned through the better part of the season. All three are scheduled to hit unrestricted free agency this summer—along with resurgent goaltender Robin Lehner—but it is Lee that brings about the most anxiety in Islanders fans. Named captain after Tavares’ departure, Lee has been open with his desire to stay in New York long-term. 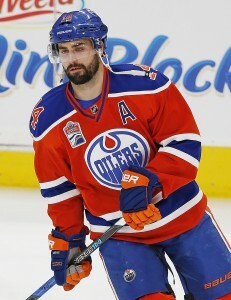 Pierre LeBrun spoke about the situation on the latest edition of TSN’s Insider Trading, saying that both sides have been working towards a deal but the sticking point right now is term. Lee’s camp is apparently looking for seven or eight years, while New York is trying to keep it a bit shorter. Arthur Staple of The Athletic (subscription required) has heard the same thing, but also writes the deal will “surely get done” at some point. Goaltenders are a tricky bunch to scout and develop, but Corey Pronman of The Athletic (subscription required) breaks down just why Spencer Knight might be the next one selected in the first round and where exactly he should go. Pronman details all of the outstanding qualities Knight brings to the table, but hesitates in his comparison to Andrei Vasilevskiy who he believes was a slightly better prospect in his draft year due to his international success. Vasilevskiy was selected 19th overall by the Tampa Bay Lightning in 2012, one of only two goaltenders picked in the top-20 this decade (Jack Campbell was picked 11th in 2010). If the Ottawa Senators want to take a look at Knight, they’ll have some extra hands on deck to do it. According to Bruce Garrioch of Postmedia, the Senators will be adding to their scouting staff this offseason in hopes that they can help continue their rebuild through a huge number of draft picks the next few years. The Senators have been notorious for having one of the smallest scouting departments in the league, but have still actually unearthed quite a few exceptional players over the years. Thomas Chabot’s selection—18th overall in 2015—sticks out as one of the best, even in a draft class that has provided some incredible talents. For the second straight season, the Islanders are in a situation where their captain is currently slated to hit unrestricted free agency. Winger Anders Lee is having a good season but his numbers are down quite a bit from last season, especially in the goal department where he reached 40 for the first time in 2017-18. 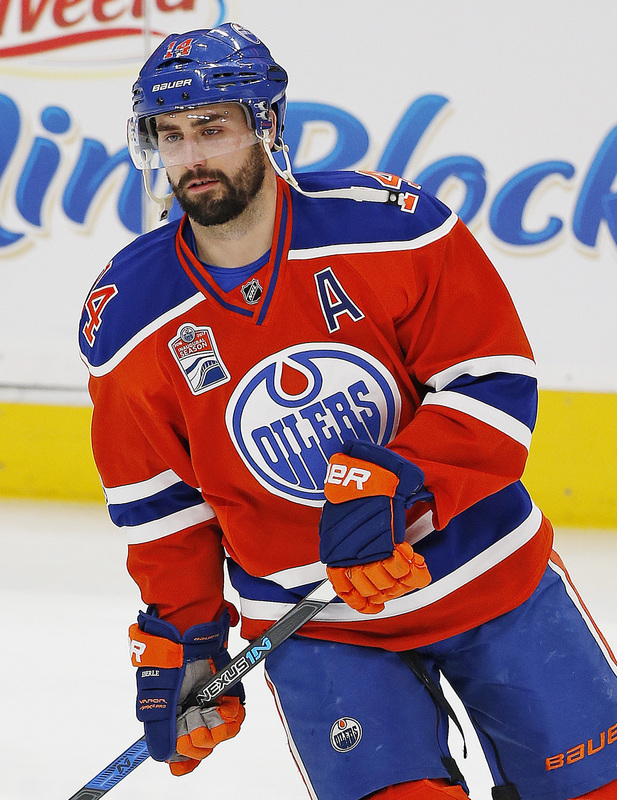 There’s no doubt that New York has interest in keeping him around but Sportsnet’s Elliotte Friedman notes in the latest 31 Thoughts: The Podcast (audio link) that there is some concern about the term of the deal that Lee is seeking. He’ll turn 29 in early July so it’s quite possible that he’s looking for close to the maximum eight years in the hopes of making it his final contract which is something the Isles would likely want to avoid if they could. While it was known that the Maple Leafs had looked to get winger Kasperi Kapanen locked up by the trade deadline, TSN’s Darren Dreger reports (Twitter link) that they also tried to do the same with winger Andreas Johnsson. The rookie has been quite productive as of late and is just one goal away from cracking the 20-goal mark which will have him in line for a considerable raise on his current salary of just under $788K. However, Dreger notes that Johnsson’s preference at this point is to wait, presumably until the offseason when his arbitration eligibility will become a factor as well. Senators defenseman Cody Ceci acknowledged to Don Brennan of the Ottawa Sun that he thought he was going to be dealt, especially after being sat at the request of a team that was trying to add him. Instead, the deal didn’t happen but between this and his $4.3MM required qualifying offer this summer, it’s fair to say that his future with Ottawa remains in question. Ceci indicated that he plans to sit down with GM Pierre Dorion at the end of the season to determine whether or not there’s still going to be a role for him on this team moving forward.